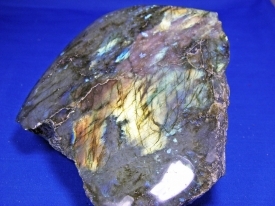 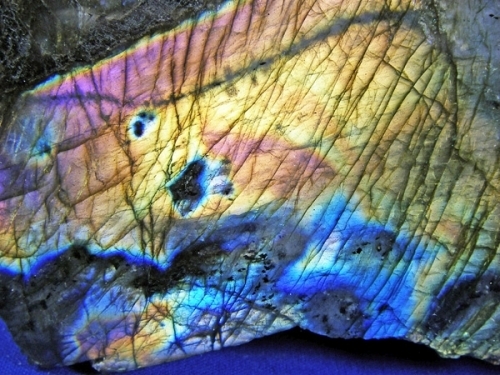 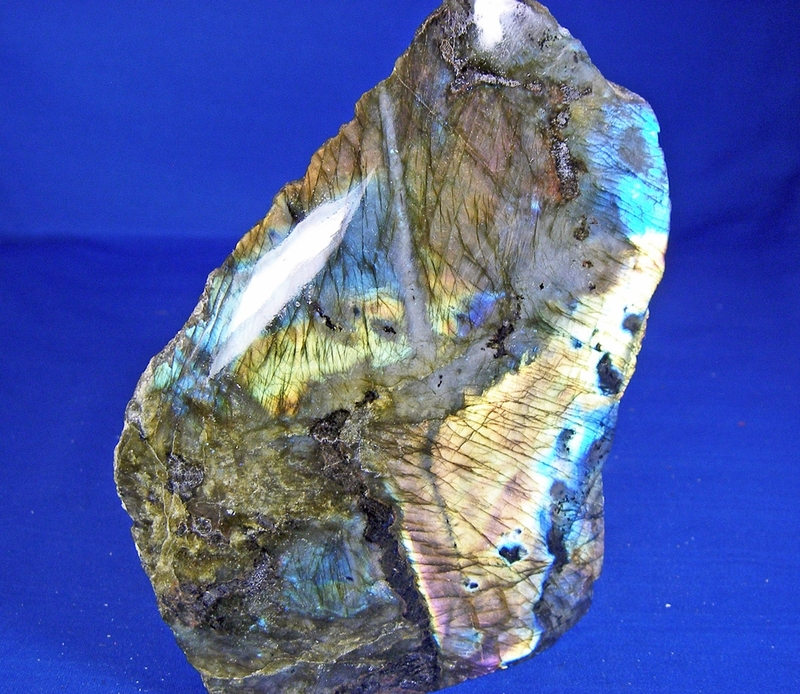 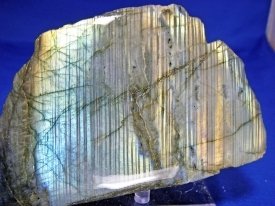 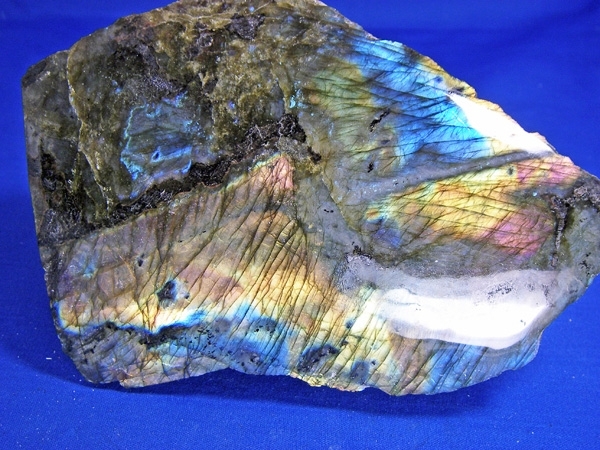 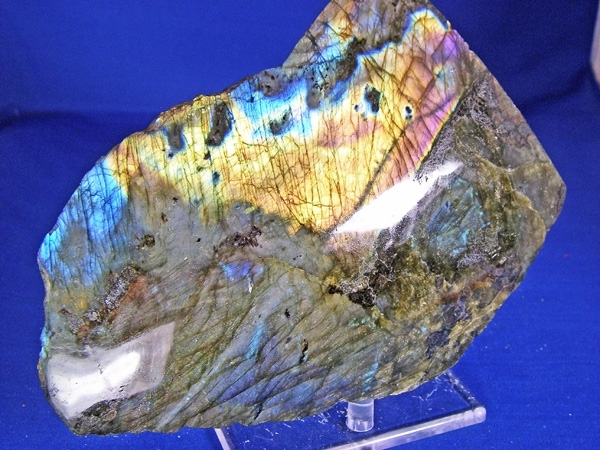 LABRADORITE HAS FLASHES OF BLUE, GOLD, SILVER, GREEN, AND REDS. 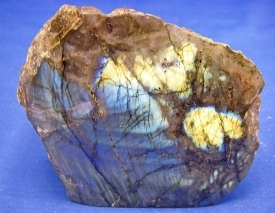 LABRADORITE SHOWN HAS GOLD, RED, AND BLUE COLORS! 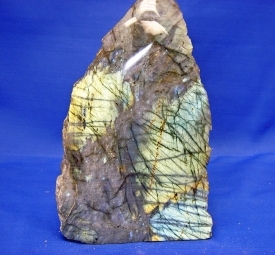 WEIGHT IS 3.8 POUNDS AND IS 5 " WIDE, 6" HIGH & 3" DEEP. A LARGER SPECIMEN WITH INTENSE, BRILLIANT COLORS! 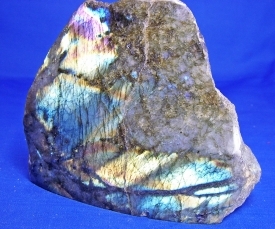 YOU CAN'T APPRECIATE THE COLOR CHANGES UNTIL YOU MOVE IT AROUND IN YOUR HAND!